I may have decided to extend this mini series by one more post, I realised how many I have for the final day when we were on the ferry and where we wandered around before which was interesting so it seemed like it’s be a bit squashed in if I put them all in one, plus the Ring of Kerry pretty much deserves its own post to be honest. The final full day in Ireland we decided to go for a drive around the Ring of Kerry, a route similar to the Slea Head Drive on the Dingle Peninsula but south and in an area that has more towns and villages in and is a bit less rural. Although the tourist attractions here are better signposted you still have to be prepared to do a last minute turn so hopefully the roads will be quiet when you go, luckily the roads are bigger than the previous ones we were on though. I would definitely recommend finding a good guide book or setting out with your own itinerary and map of places you want to see, we would definitely do that next time. First post from my new computer! This may take some getting used to so sorry if there are any really obvious typos that I’ve managed to miss! Also feel like I should add a photo heavy warning, not sure if that’s needed any more but there’s quite a few and they’re big. The second part of the Ireland road trip mini series, if you can call three posts a mini series, is on the Dingle Peninsula which is the most Westerly point in Ireland. This is one of those areas in Ireland where the main draw is the scenery, apparently if you go in the summer there are a lot of tour buses and it’s best to drive around it clockwise as the roads do get very small and you don’t really want to have to reverse back to a passing point, especially on the more mountainous areas, when you come across a bus travelling in the opposite direction. We did the Slea Head Drive, or Slea Head Loop, it seems to have a few names, which is a ring route around the tip of the peninsula. You do have to go through Dingle first to get to it, there’s a point where no matter which route you’ve taken to get to the end of the peninsula it goes through Dingle because of the mountains, so we did stop off there and have a bit of a wander round despite the rain. We didn’t do this but I would recommend going to the hotel or B&B you’re staying at, if it’s in Dingle, first as we did it after the ring route and they gave us a map of the area when we booked in. I realised I don’t think I’ve ever really done a travel blog post and, as we spent five days in Ireland driving around the south west, I thought I’d do a mini series as there’s way more photos I want to post than would fit into one. This post is about the first place we stayed; Bunratty, which is a small village with not much in it besides a castle which is inside the Bunratty Folk Museum. Bunratty itself is a nice village to spend a day but could be a good base to go to surrounding areas. We spent three or four hours walking around the Folk Museum though you could probably spend more, especially in the summer when there are more of the workers in costume that would add to the atmosphere. I feel like I maybe should warn you but this post will have a fair amount of photos in it. It may take a while to load, though I’m not sure if any internet tends to need the warning these days, maybe it was more back in the dialup years people did this. I realised I don’t tend to do any of these kinds of blogs recently so as we visited Bletchley Park I thought I’d post about it. Last week, after the rush of the Bank Holiday, I went and visited Bletchley Park with my parents. It’s one of those places that I’ve always known about and we live about an hour away but none of us have ever been to so we decided to give it a visit. Given the amount of things to see there we thought we’d do two visits, or see what was there and then decide, and I am so glad that we went in thinking that as we saw about half of it and I was exhausted afterwards, I’ve only just recovered. One thing worth knowing before you go is that the tickets are valid for a full year and you can have as many visits as you want in that time. I can’t find that anywhere on the website so it was a nice surprise when we went and picked our tickets up. Bletchley Park is a museum dedicated to the codebreakers from the second world war. They were based here, at its peak I think there were 9,000 people living and working in the complex, and it was all top secret. They broke the Enigma code that the Germans used to send messages to each other along with other codes used at the time, I think Enigma is probably the most famous. There’s a mix of standard museum style exhibitions, some of which are temporary and change, and quite a few blocks and rooms that have been restored and furnished as they were at the time. 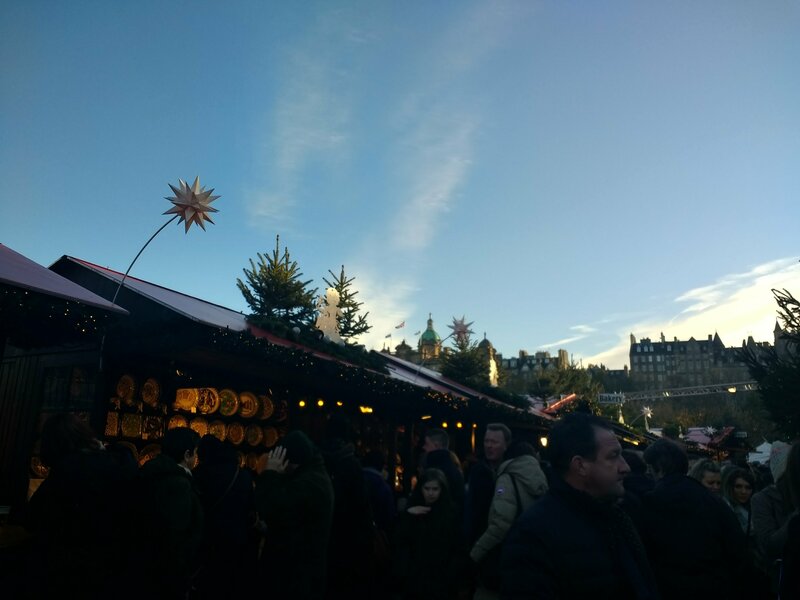 Scotland Holiday and 2 Years! I’ve not been here for a few days, the past couple of posts were scheduled so sorry if I missed any comments or replies. I’ve not been great about keeping up with blogs I’m reading, I’ll get better at that I promise. I’m back now and going to be doing a few posts on the small holiday in Scotland as we went and saw a few things. 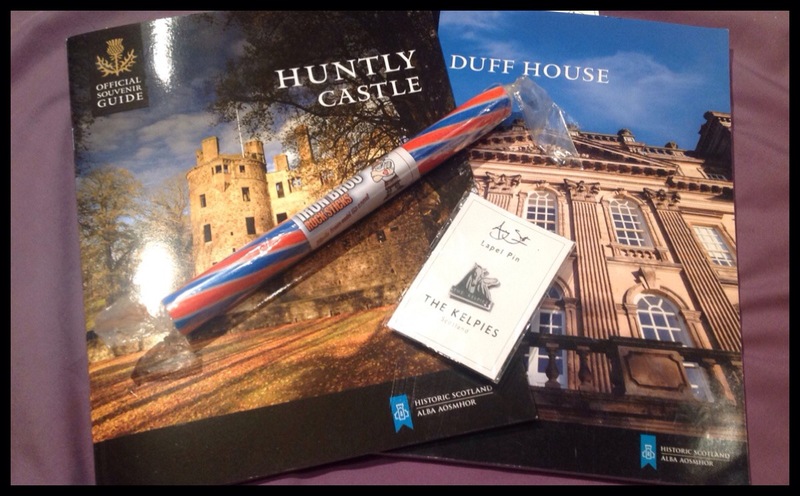 As you can see Duff House and Huntly Castle are two of them, will post more on them another day but they’re both worth looking at if you like wandering around castle ruins or old houses with lots of art. We also went and saw the Kelpies and the Falkirk Wheeel and saw some small towns and villages. Nothing to do with any specific thing we saw but they had the Iron Broo Rock and I love Irn Bru so I had to try it. I will do more or a post, or posts, next week but it took a lot out of me so it’s going to be a few days of resting to get over it all. I do love visiting new places but it does take a while to get over it afterwards. These posts will probably be up the middle of next week when I’ve got all the photos uploaded and remembered where everything was taken!